Everybody starts somewhere. I did. Every famous handler you’ve ever seen on TV did. We all started at the same place. A rank beginner. A newbie without a clue. And we all advanced through these stages, some a little faster, some a little slower. But nobody, ever, came out of the womb as a Master Handler. What we’re going to talk about today is how to identify your level of development as a handler, where you want to go and how we can help you get there. Just getting started. Have your first show dog. Still trying to figure out points, classes. Holding the collar and the tail and remembering to look at the judge all at the same time are two things too many. Might have had a basic handling class that was mostly socializing your young dog. May or may not have an active mentor. Still sometimes feel like a deer in the headlights when they call your number. You’ve been at it a year or two, put some points on your dog. Maybe even finished his championship. Pretty well have the points and classes understood. Usually make it to the ring on time. Have made some friends who are able to help you some. Can normally make it to the corner and back without tripping over your dog. Have basic mechanics and principles down. Lacking polish and need to feel more comfortable in the ring. You occasionally feel invisible. Sometimes other exhibitors block you in a corner. After five years or more, you’ve finished a couple dogs. Maybe even bred your first litter. You have a nice young special, but you’re frustrated because you can’t seem to get over the hump and win the breed more than one in 5 times. You’ve raised and trained this dog from the get go to be a winner. Judges notice your dog, and other exhibitors are generally friendly to you. You win a lot of OH ribbons and often place in the NOHS group. You have 15 or more years in the sport. You’re smooth, polished, confident and comfortable. 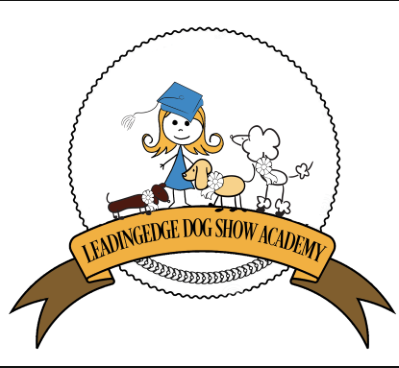 Your dogs are trained and trimmed and conditioned to the best of your ability. You have the respect of your peers and have made some great friendships over the years. Now you have a really good one. A home bred champion and you’d like to take him as far as he’ll go. How can we help you achieve them at each of these levels? Let’s start with all you folks that identified yourselves as Beginners. I’m going to use examples throughout this session, but no worries, names have been changed to protect the innocent. Brad the Beginner tells me he’s nervous, his dog shies away from the exam and he feels like he has 10 thumbs and two left feet the entire time he’s in the ring with his Bulldog, Rufus. His goal is to finish Rufus’ championship, but he’s not sure the dog is good enough or that his handling skills are sufficient to get his dog to the top. So, here’s the deal Brad, there are a couple things you can do right away that will answer at least one of your questions. The first is to find someone who will help you decide if Rufus meets the Bulldog standard closely enough to become a champion. You can start by going back to the standard and re-reading it. I want you to read it carefully top to bottom. I want you to take each paragraph of that standard and apply it to Rufus. This is a breed in which 39 points out of 100 apply only to the head. So read that section particularly carefully. If you have questions about what some of the lines or sections of the standard actually mean, ask your breeder or seek out a member of your local club or all-breed club and ask them. It’s ok to ask questions! For folks out there, in any breed, who are competitive or master breeders, make a point of answering questions from folks like Brad in a fair and honest way. Whether Brad bought his dog from you or not, we need to make a point of helping folks who want to learn. Okay, Brad, good job. The consensus of opinion is that Rufus, while perhaps not the most perfect Bulldog ever born, is a good and worthy representative of the breed and deserving of finishing his championship. That’s confidence builder number one. Next, you’re going to find handling classes, fun matches, show and goes, any place that you can practice stacking and gaiting Rufus in such a way that you show off all his finest qualities. 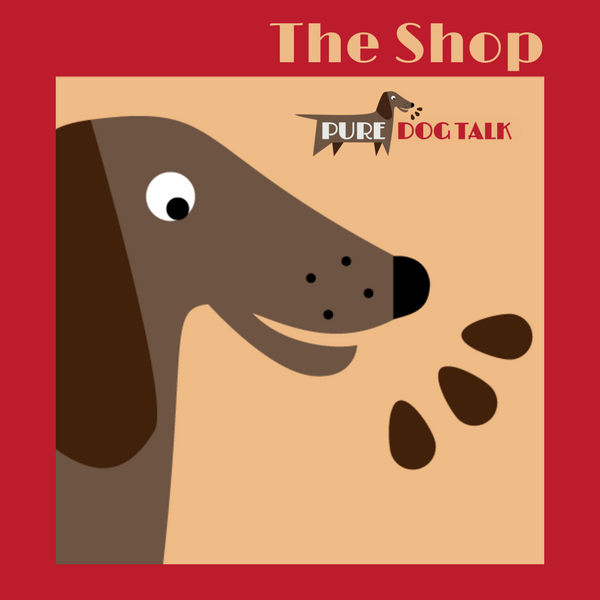 You’re going to go listen to our podcasts on stacking and moving your dog, mastering the ring and problem solving for tips and tools to make this go a little more smoothly. You’re going to stack ol Rufus up in front of a mirror so you can see what the judge sees. And you’re going to tweak that a little until Rufus looks as close to the picture of the Bulldog in the book as you can make him. Finally, once you and Rufus are working together as team, and both of you have the muscle memory that makes it so you don’t have to *think* about what goes where, you are going to sit yourself down, with Rufus at your side, and give yourself a little pep talk. You’ll remember that your nerves go right down the leash and into Rufus’ brain. That if you’re nervous, in Rufus’ mind it’s because you’re scared and if you’re scared, he should be too! So, don’t be scared! There is no firing squad here. We aren’t curing cancer or solving world peace. It’s a freaking dog show. So, go, have fun, relax and enjoy your time with Rufus. As you settle down, and he does too, the judge will be able to find you in the crowd and Rufus will have a champion title in front of his name! 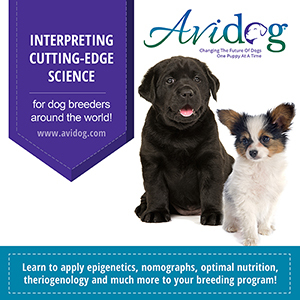 Find a breeder, mentor, professional handler to help you evaluate your dog. Read the Breed Standard and commit it to memory. Look at each paragraph of the breed standard and apply it to Rufus. 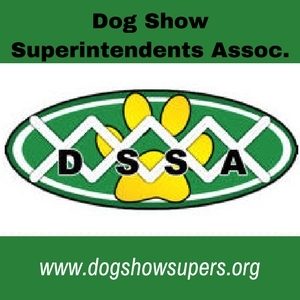 Learn, Study and Practice - Handling Class, daily practice in front of mirror, matches, observe at dog shows. If available from your National Club, purchase recent National Specialty videos and watch them over and over. Listen to the Mentor Monday podcasts. Practice reduces nerves. Have a pep talk with Rufus before you go into the ring. Have FUN!!! It's not world peace! Experienced handlers - Ellen and her English Setter, Amy. Ellen finished Amy’s championship this summer and has been trying to earn her grand champion title. Amy is showing well, but it’s a tough ring and Ellen is feeling a little out of place and wants some ideas for stepping up her game a notch. So, here you go babe. Three things I want you to work on. First, make up a song for Amy. What’s your mental theme song for her? I use Eye of the Tiger whenever I feel like the underdog. You’re going to hum this under your breath (no, I’m actually not kidding here) while you wait for your turn outside and inside the ring. This will actually help you focus and get, pardon the pun, in the groove with Amy. I want you to really pay attention to her watch command and I want you to STAND UP! Quit dropping your shoulder when you move her and hovering over your dog when she’s stacked. If you need to kneel in order to get her to reach her neck and still be able to hold her tail, then do that. Keep you core strong and your shoulders back. Second, Ellen, I want you to literally say, Amy, you are the bomb! We are awesome! I am the bees knees… Whatever. Give yourself and your dog that pep talk. And watch your spacing. Be sure to give the dog in front of you three steps before you take off on your go ‘round. If the handler behind you has a tendency, however innocently, to crowd in on your space, freestack Amy backwards while that exhibitor’s dog is being examined. Give yourself *plenty* of room in front of you, but when the exhibitor behind comes around, they have to stop at your back… then, when it’s time to line up for the last look, you can swing your dog around into all that free space in front of you and not be crowded. And, last but not least, Ellen, your job is to watch the judge. Don’t stare at him, don’t glare. Just use your peripheral vision to keep track of where the judge is, what he’s doing, what he’s watching. I know Amy still tap-dances a little. So time your efforts, by watching the judge, so that when his glance falls on her, she’s making the perfect little English Setter picture for him. Pick a theme song - Hum it to yourself, blast it in your earbuds, pysche it up before the ring. Pep Talk - Be proud of you and your dog. If you don't think she's a winner, no one else will. Posture and Appearance - Stand up straight, Present yourself and your dog, Act like and be a winner. Plan your Game - Give yourself room in the ring, Watch the Judge and BE READY for your perfect moment. Alrighty, we’re kicking it now. Next up, for all you competitive handlers out there just aching to break out of the pack with your dog. This one’s for you. I was talking with Connie about her Cavalier King Charles Spaniel, Teddy, recently. This is a pretty little dog, but Connie just can’t seem to make it all the way to the front of the line as often as she’d like. So, Connie, I’ll tell you the truth. Teddy needs a little work. He’s soft, flabby and he isn’t using his rear as well as he should. His coat doesn’t have the serious shine and polish I’d like to see. He has some eye stains, he looks bunchy through the shoulders because his coat has a little wave there. See, the difference between good and great is often attention to the details. Get Teddy more exercise. Put him on a treadmill, take him for a long walk every day. Whatever it takes. Talk with your mentors and friends about their favorite solution for eye stains. Buy him a slinky jacket to help lay the hair down that wants to stick up in the wrong place. Good enough really isn’t when it comes to the big leagues. You can make Teddy SHINE but it’ll take a little effort on your part to get there. Meanwhile, Connie, you’re doing a great job with all the important stuff in the ring. The thing I want to see is for you to give the judge a little flair, a little pizzazz. That extra half-second at the end of the down and back when Teddy is giving his impish little smile and wagging his tail, that extra half-step back while standing in front of him on the line. That gentle twitch of the eyebrow when the judge makes eye contact that says, yep, he really IS that good… You can do it! I know you can. Good VS Great - Everything matters, and attention to every detail is the key. Condition, Coat, Trim, Grooming - Perfection is a must. Practice and Polish - Free Stack, Landing the finish on the the down-and-back, Maintaining the Watch Command. Mark has a very exciting home-bred Mastiff special by the name of Dudley coming up next year. Mark is pretty much the bomb-digiity and he knows it. Dudley is a heck of a dog and will make his mark in the breed. Mark’s on a bit of budget, but he has a plan for getting to the right shows, getting the word out to the fancy about this cool dog coming off his warm up year with some group placements and nice specialty wins, just now ready to hit his stride. He’ll advertise sparingly, but he has a great designer who can really sell the message. Timing, you see, is everything. Mark has Dudley in shape, great weight, great muscle, great attitude, showing like a million bucks. But, dude, it’s a Mastiff! Not always an easy breed to win with in the “bigs”. But, looking around the working group in his general area, he sees some of the big winning dogs from the last year or two are set to retire, some decent panels on the horizon with judges he knows will appreciate Dudley’s style and soundness. Mark’s pretty sure he has a shot at #1 all-systems in Mastiffs. With a little luck and a lot of hard work, he might even crack the top working dog rankings. And his national judge has always loved this type of dog and did a lot for Dudley’s sire and grandsire.